This month, Foot Locker showcased Charles Barkley’s comedic talents, convinced Scottie Pippen to poke a little fun at himself and scored a huge viral hit. The retailer’s TV commercial, “Short Memory Pt. 1,” which featured the two NBA icons – along with current star, James Harden – aired prominently over national TV. The organic online response to the commercial created the kind of buzz that makes most advertisers jealous. Foot Locker has taken advantage of this online momentum by more heavily promoting its next two TV ads online. By paying for more online exposure to its second and third commercials that aired in August, Foot Locker probably thinks it’s worth the cost to maintain the top-of-mind awareness boost generated by the first spot. 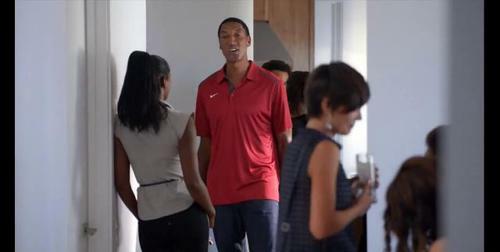 In the brand’s original ad from August, Pippen’s “greatest Chicago Bull of all-time” line found its way into many media outlet stories and Twitter feeds with links, not always divulging that it was a joke from the ad. It’s easy to imagine many Michael Jordan fans taking the bait and clicking on the story, which would, of course, contain a YouTube link or embed to the commercial. This dynamic surely drove much of the online viewership of the commercial. Of the nearly 5 million online views, iSpot.tv estimates that 86 percent of them were earned or organic views. Foot Locker and its agency have generated high online impressions while only paying for approximately 14 percent of them – a clear campaign win. Take, for instance, the next two ads from the brand: “Selfie” starring Chris Paul and “Be The Baddest” starring Kevin Durant. Totaling a combined 9 million views, both commercials were also very successful online, but they derived more of their online impressions from paid promotion – approximately 66 percent and 70 percent impressions were promoted, respectively. Again, this seems to be a wise strategy coming off such a viral hit, but it also highlights the difficulties in creating a viral TV ad.